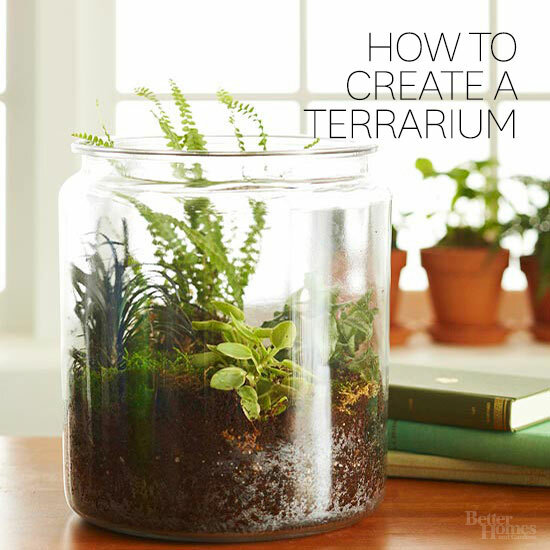 Terrariums are a beautiful addition to desks, dining room tables, or other well-lit spots. 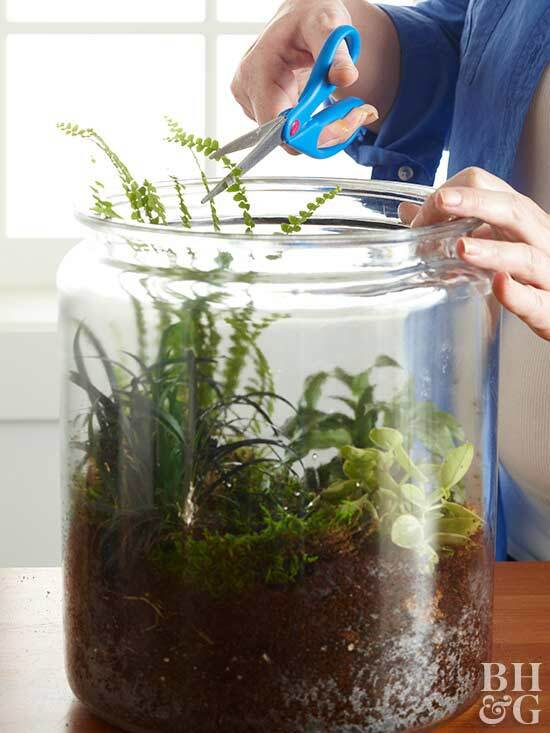 Check out our easy step-by-step instructions on how to plant a terrarium. Install approximately 1-2 inches of charcoal at base of container. Combine remaining charcoal with soil either by hand or with trowel. 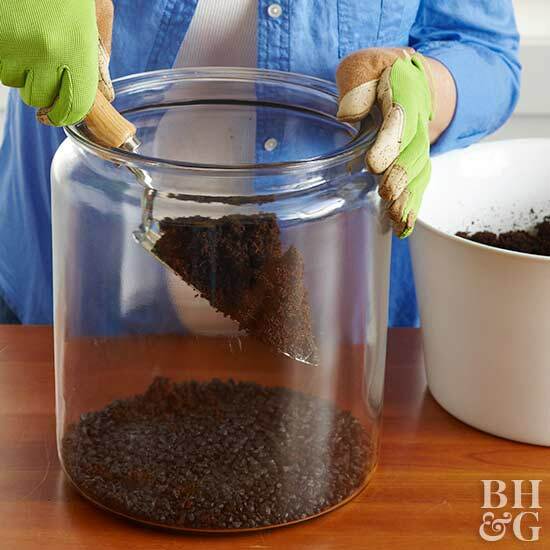 Fill your container one-fourth to one-third full with the charcoal-and-soil mixture. 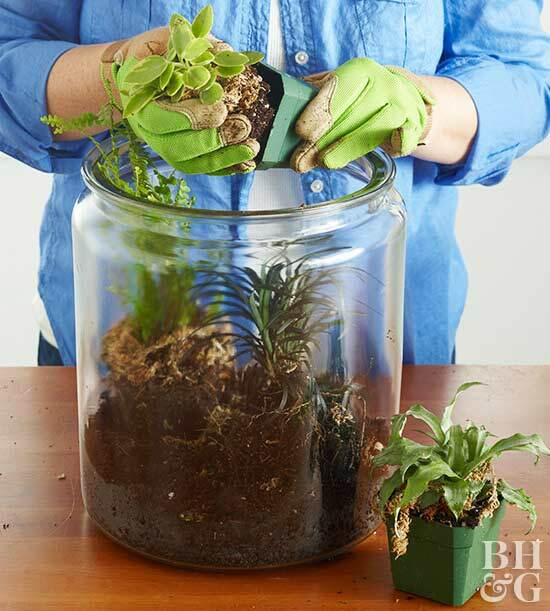 Gently pack the soil every 2 inches to avoid large air pockets. 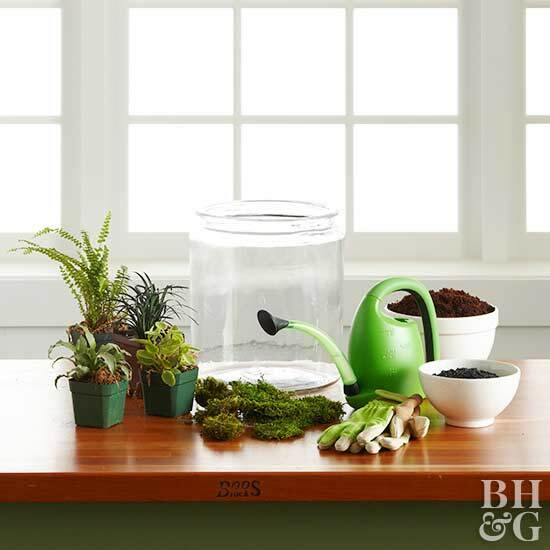 Carefully remove your plants from their containers and position them on top of the soil to ensure proper spacing. Allow enough room between the plants for additional soil. With gloves, position moss on top of the soil and between the plants. Water plants and place container in a well-lit area with indirect light. Future watering is dependent on the types of plants you have selected and the environment they’re growing in. Test the soil for moisture before pulling out the watering can.